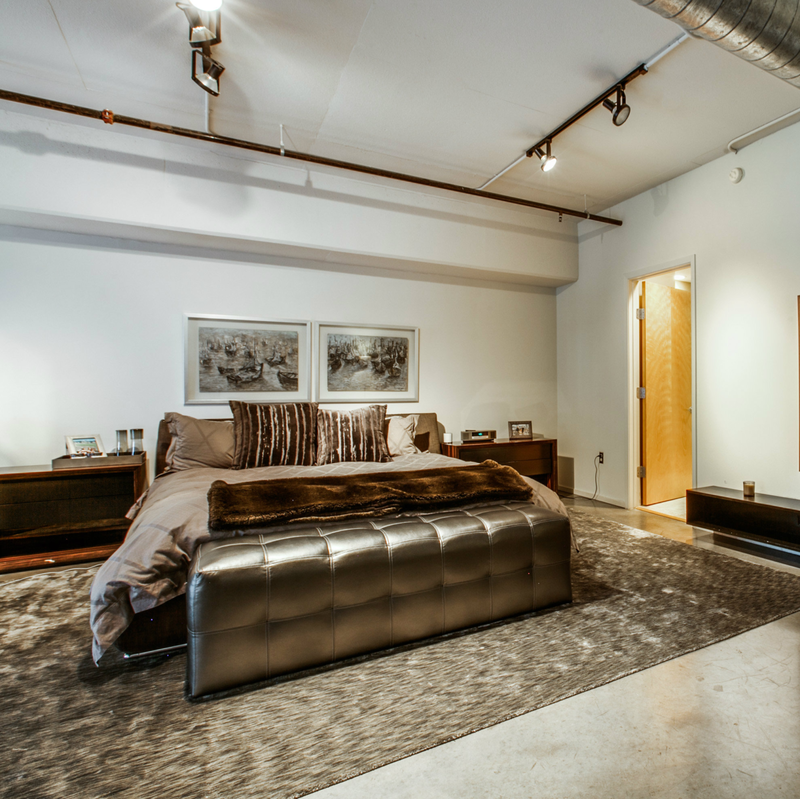 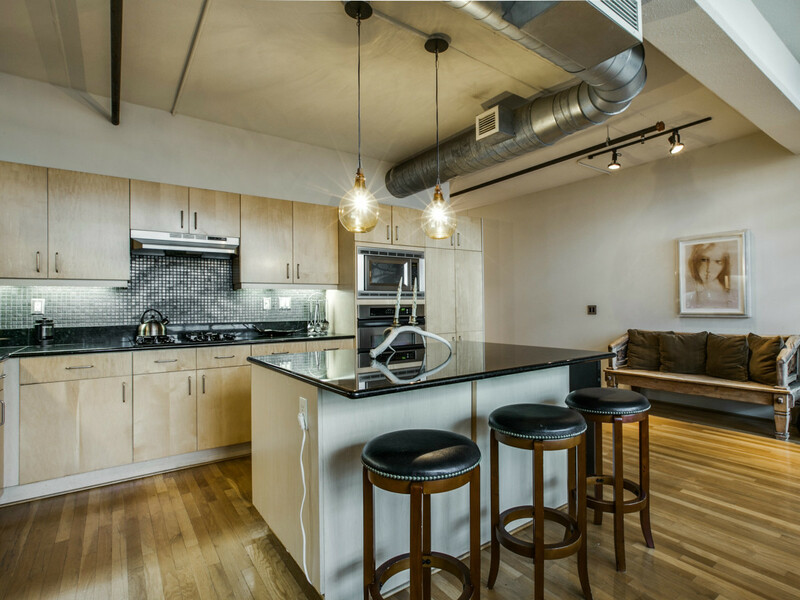 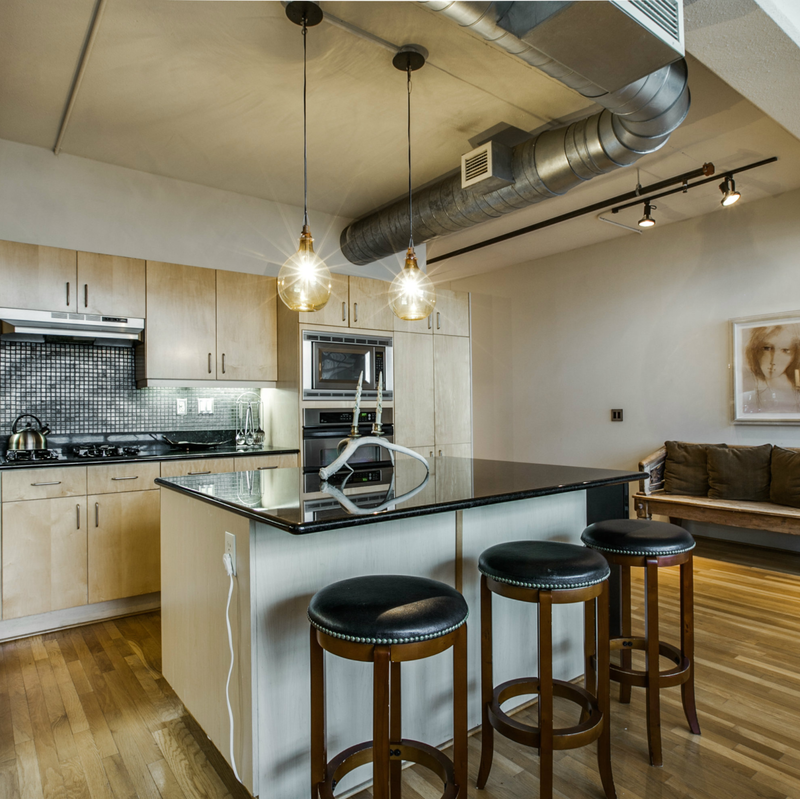 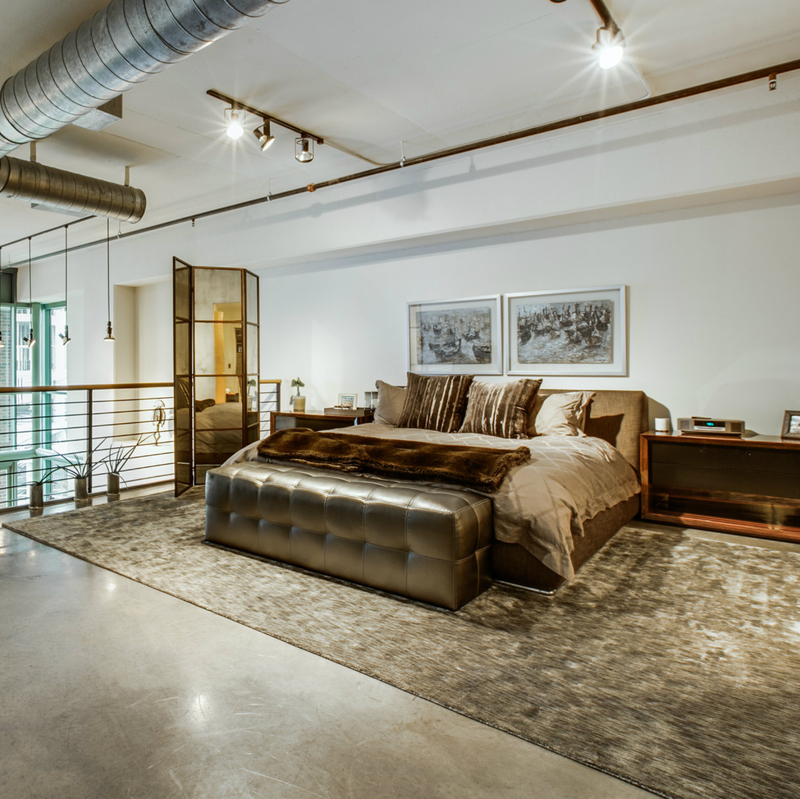 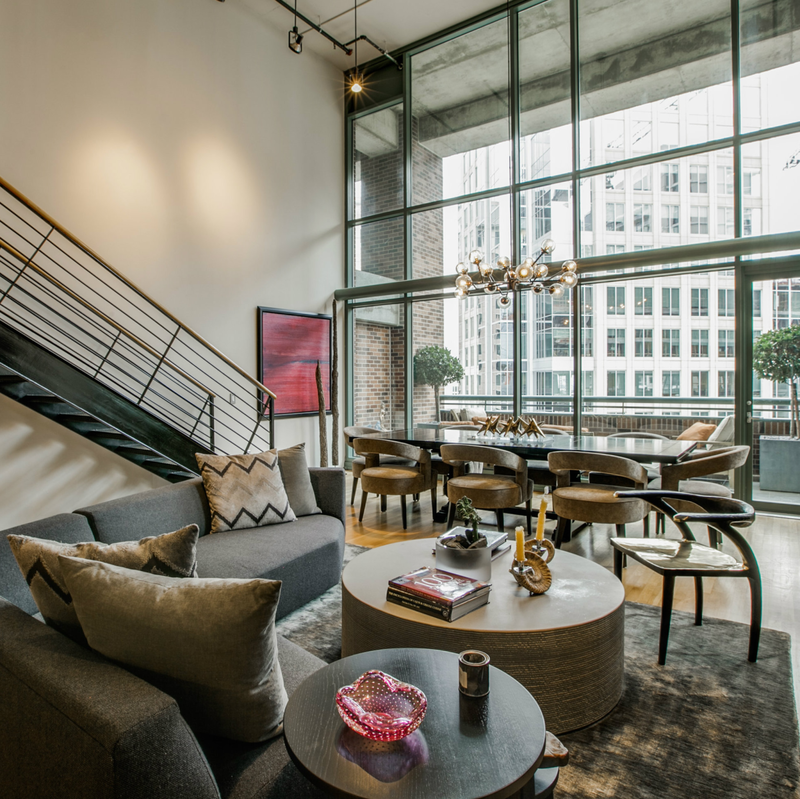 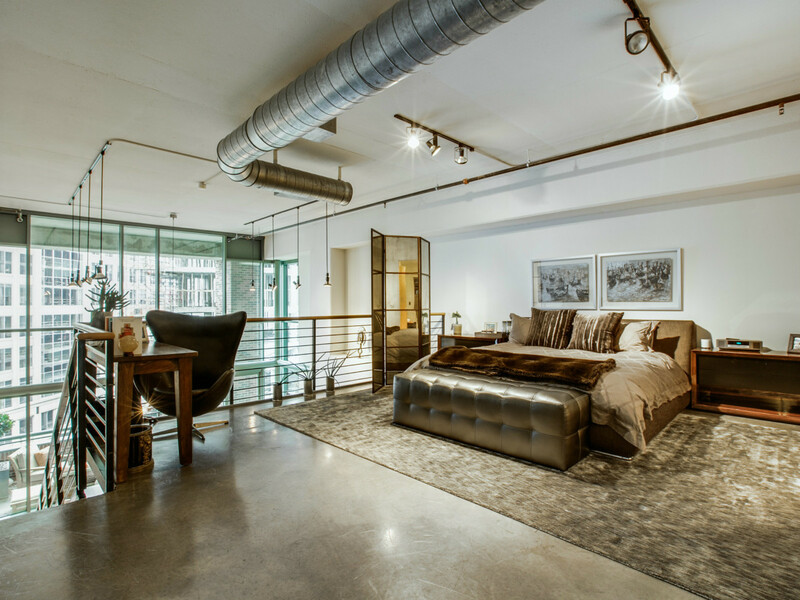 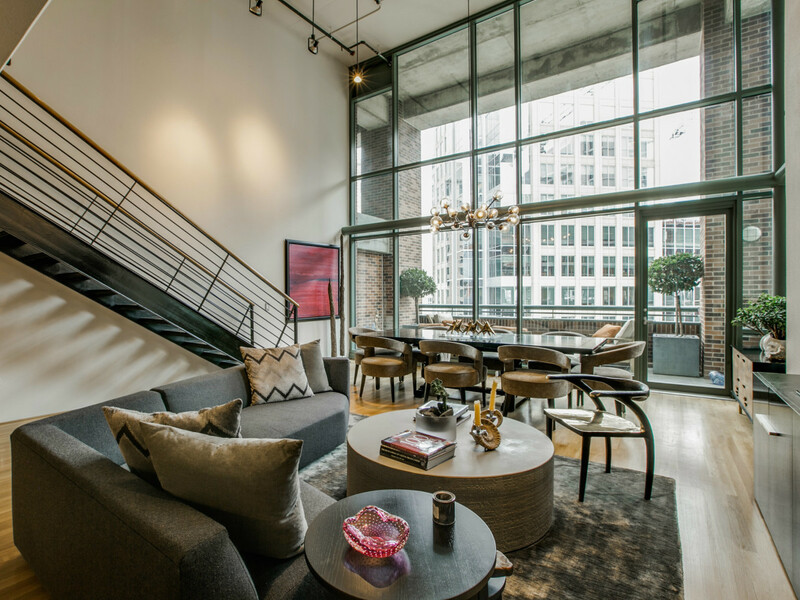 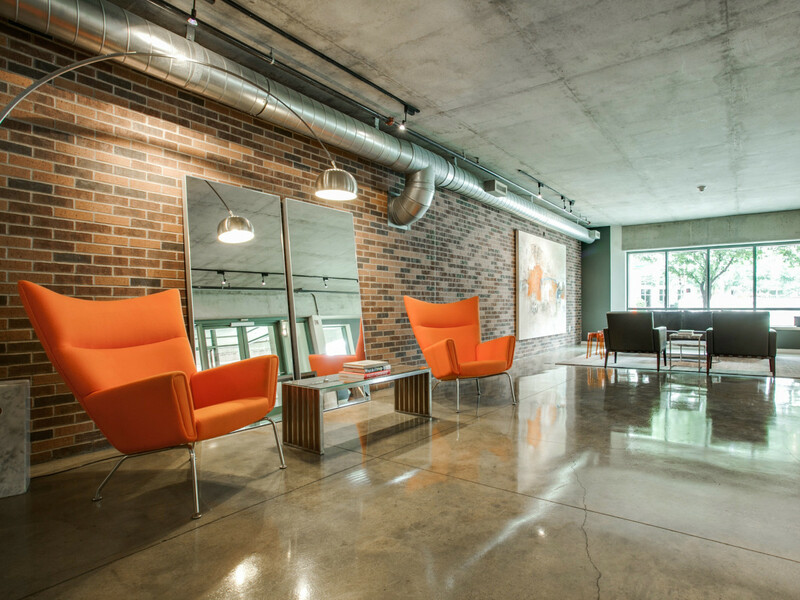 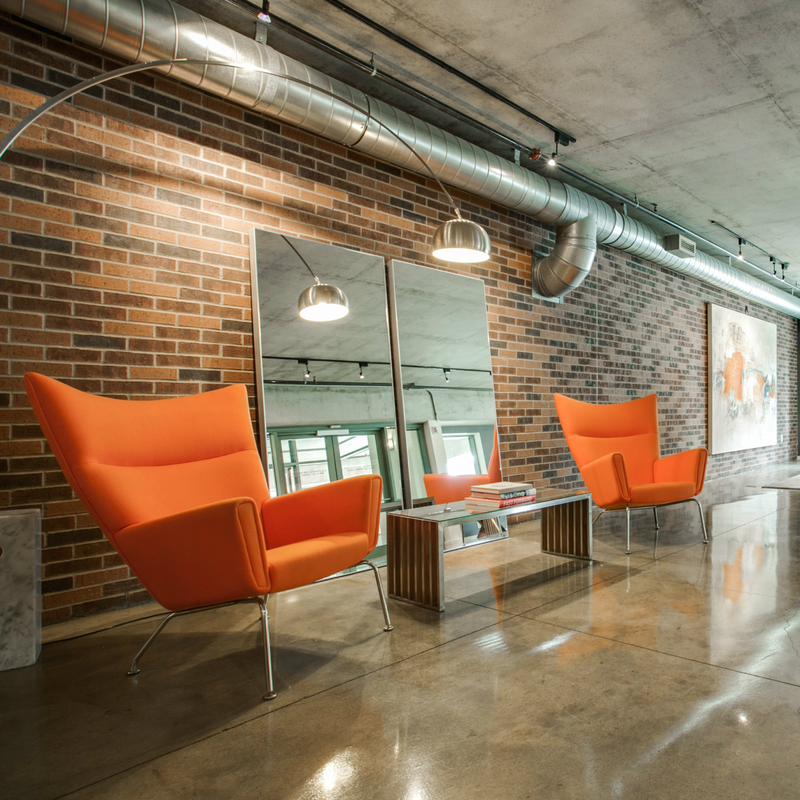 Those in the market for a high-rise home should head over to unit 1006, at the prestigious 1999 McKinney building. 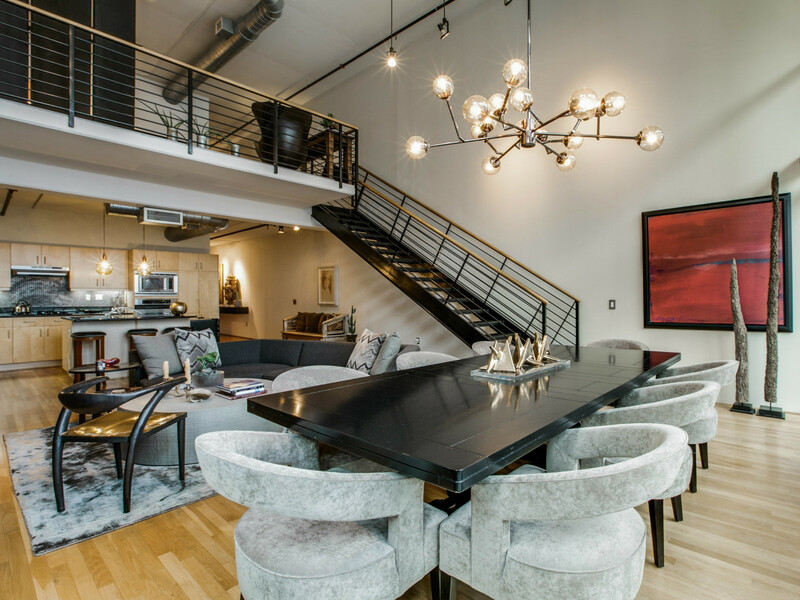 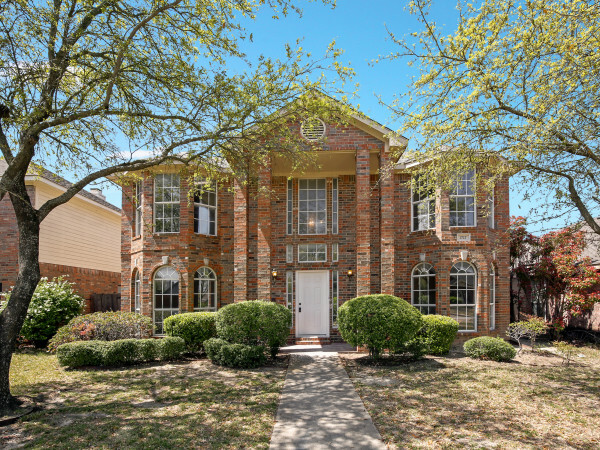 Ideally situated between between Uptown, Victory Park, and the Harwood District, there's pretty much no better location to land if your plans include living high in the Dallas sky. 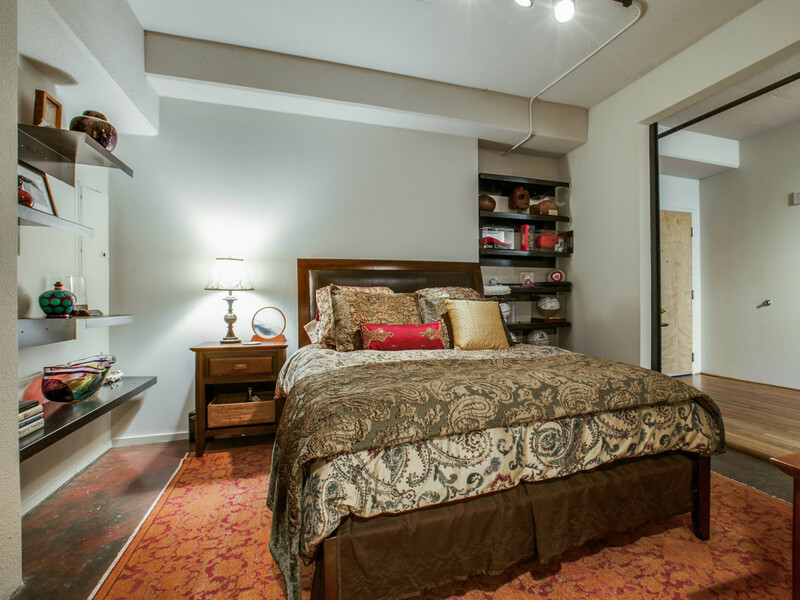 This particular pad features two bedrooms, two bathrooms, and offers owners 2,407 square feet of totally flexible living space. 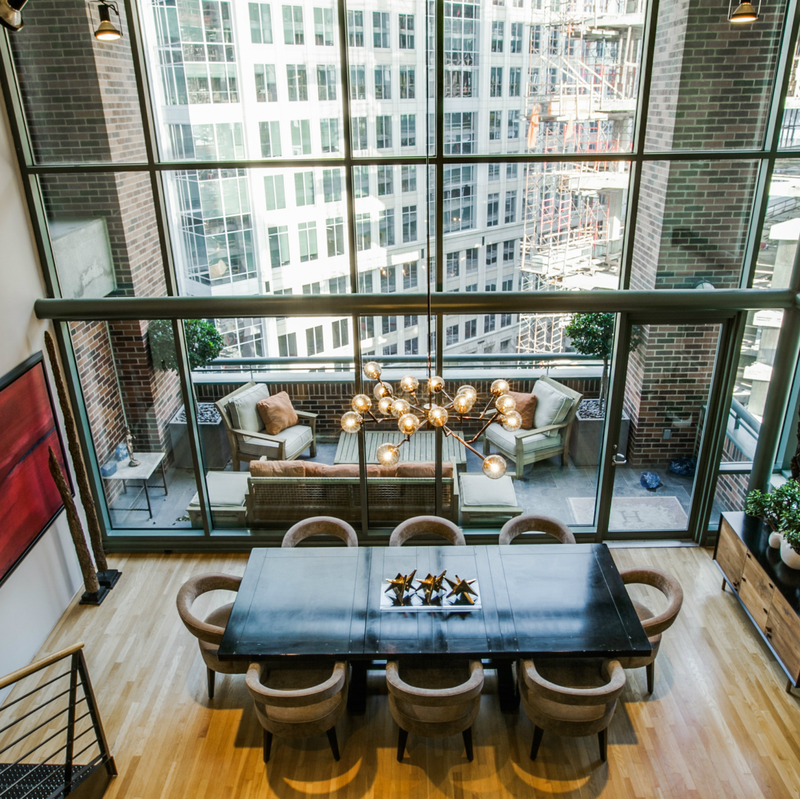 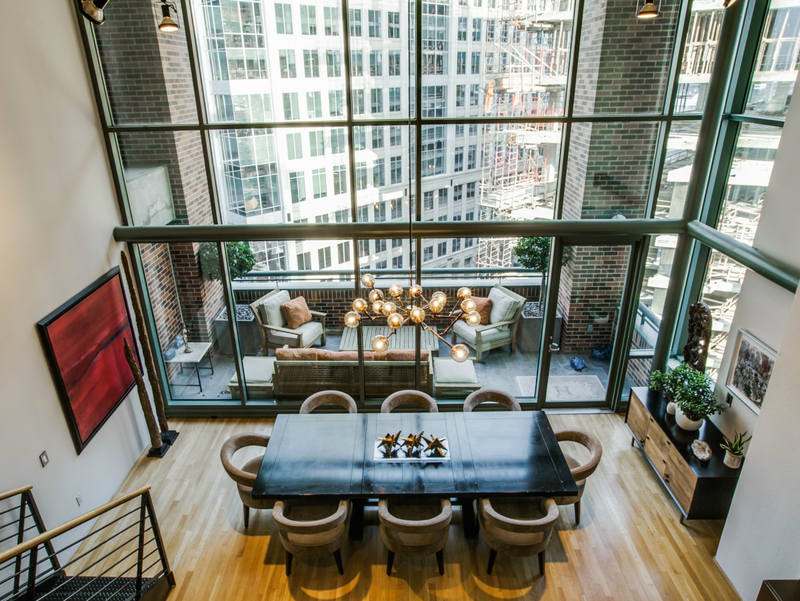 With its 10th-floor perch, it also offers dramatic views of the neighborhood. 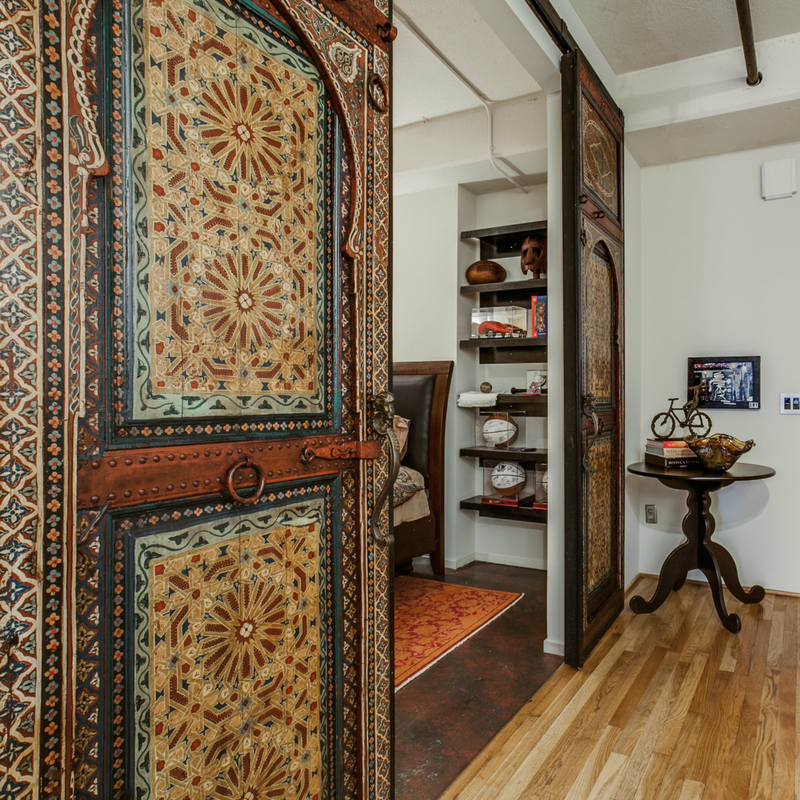 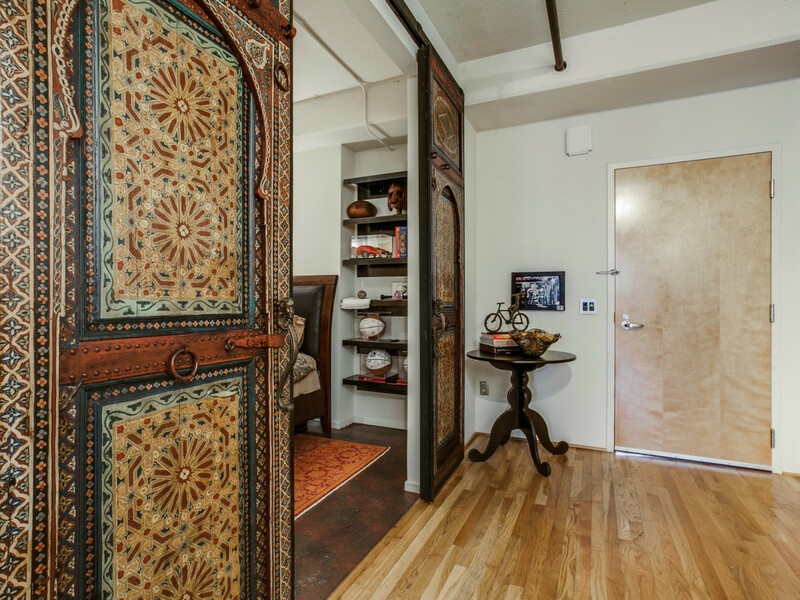 Walking into the property, guests are greeted with an art-inspired barn door-style opening to the property's second bedroom. 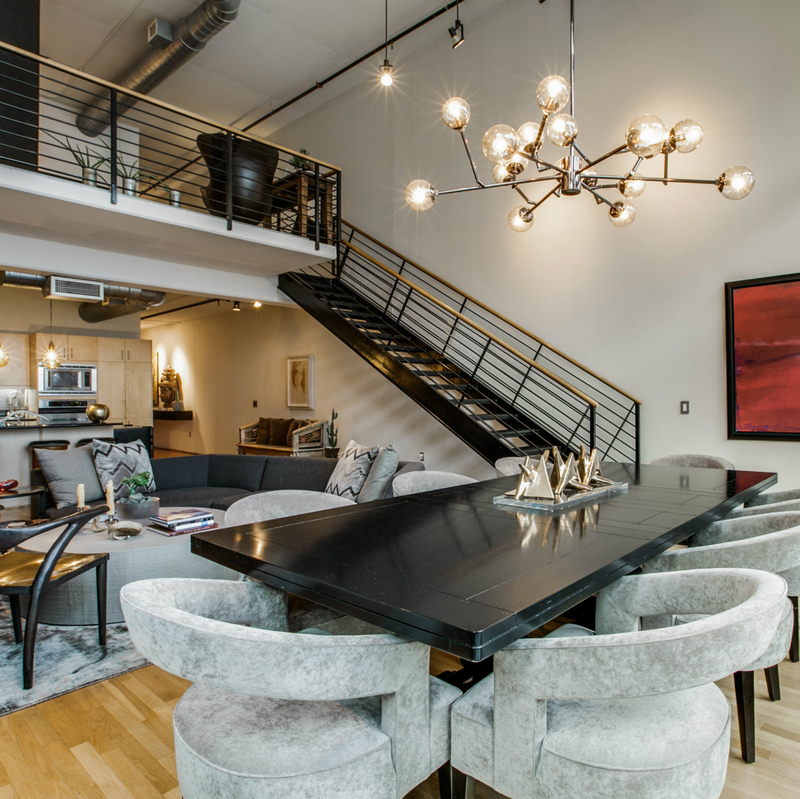 The walls along the hallway allow for ample space to display art and lead to the focal point of the home, which features a state-of-the-art kitchen, living room, and a large dining area with a back wall made entirely of windows. 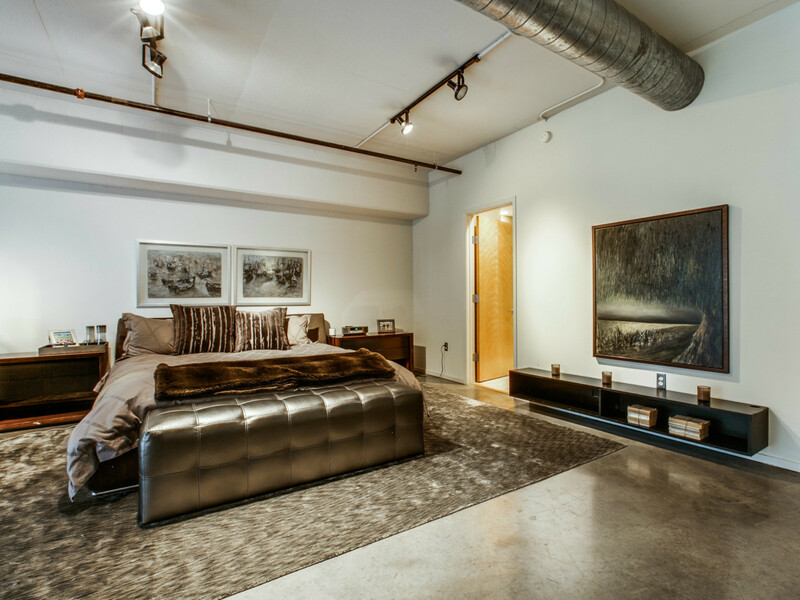 Head up the industrial staircase and you'll find the master bedroom area, which has endless possibilities as far as its setup. 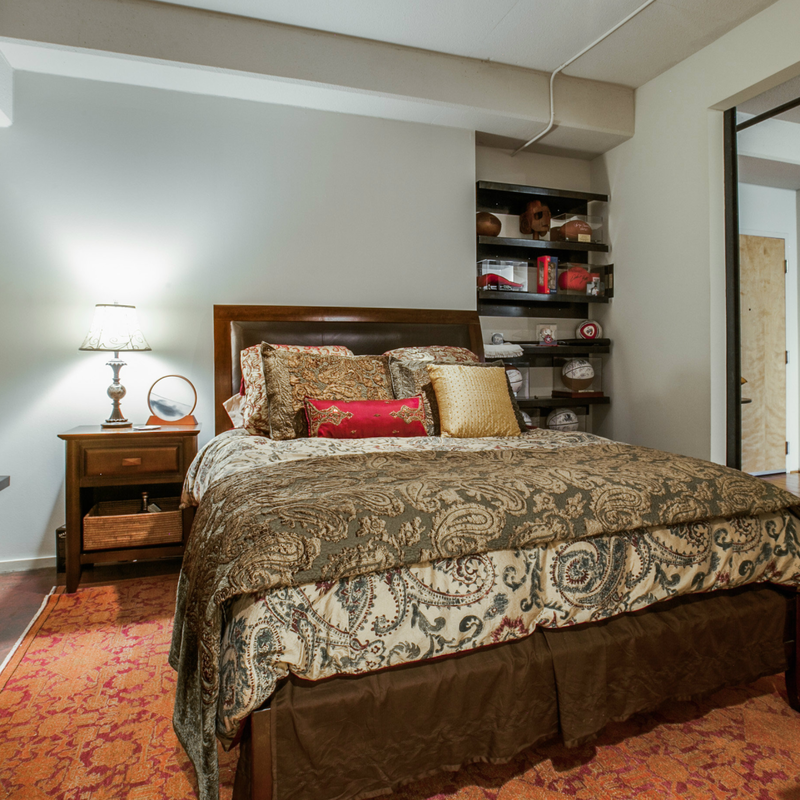 The current homeowner has a king size bed, two dressers, and a desk, however, there's certainly room for more. 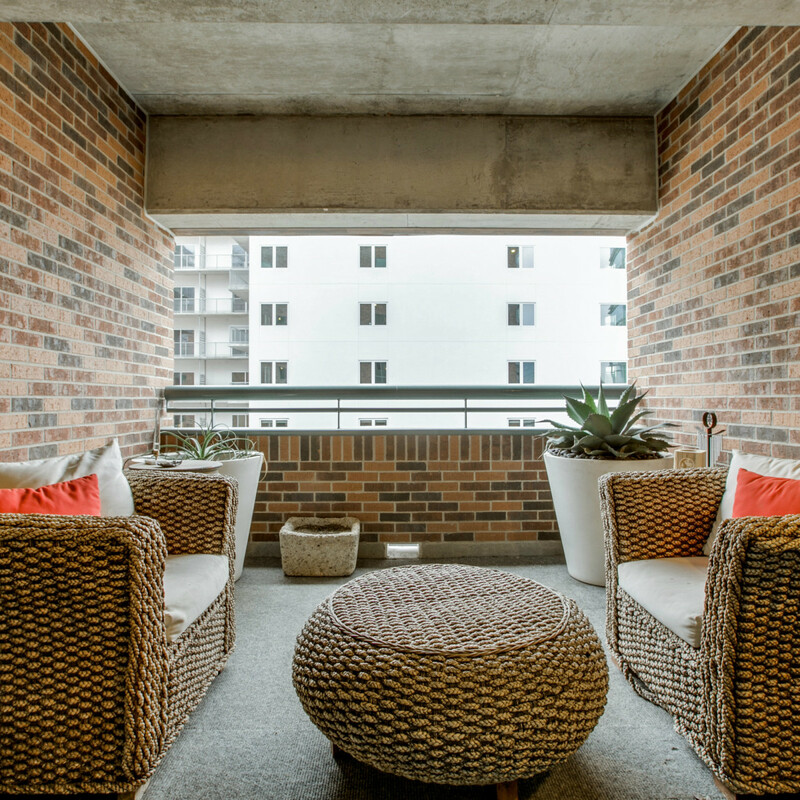 Think exercise equipment, a small sitting area, even a bassinet should you start your family while living here. 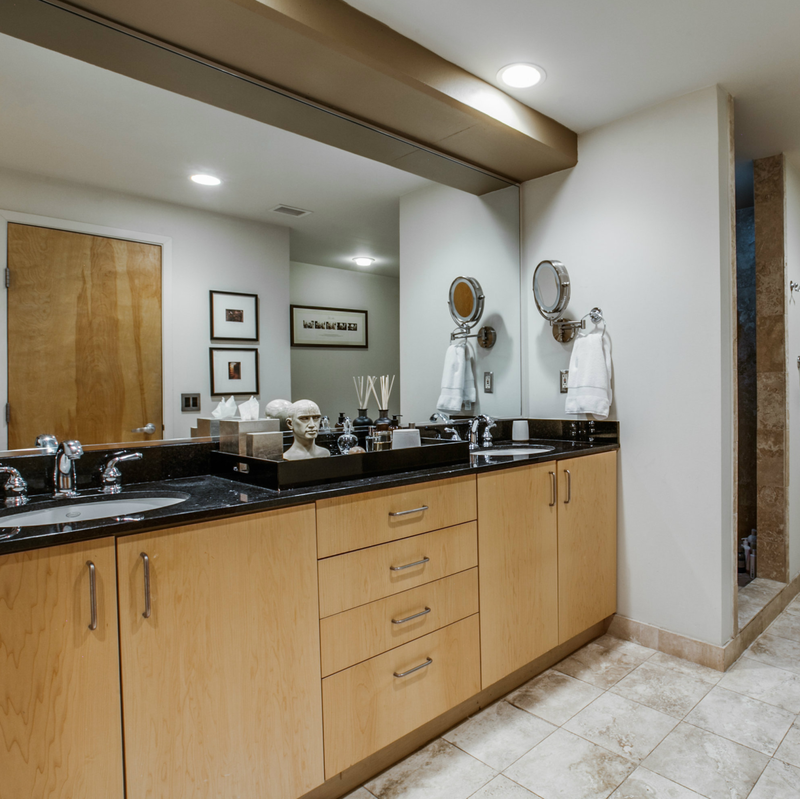 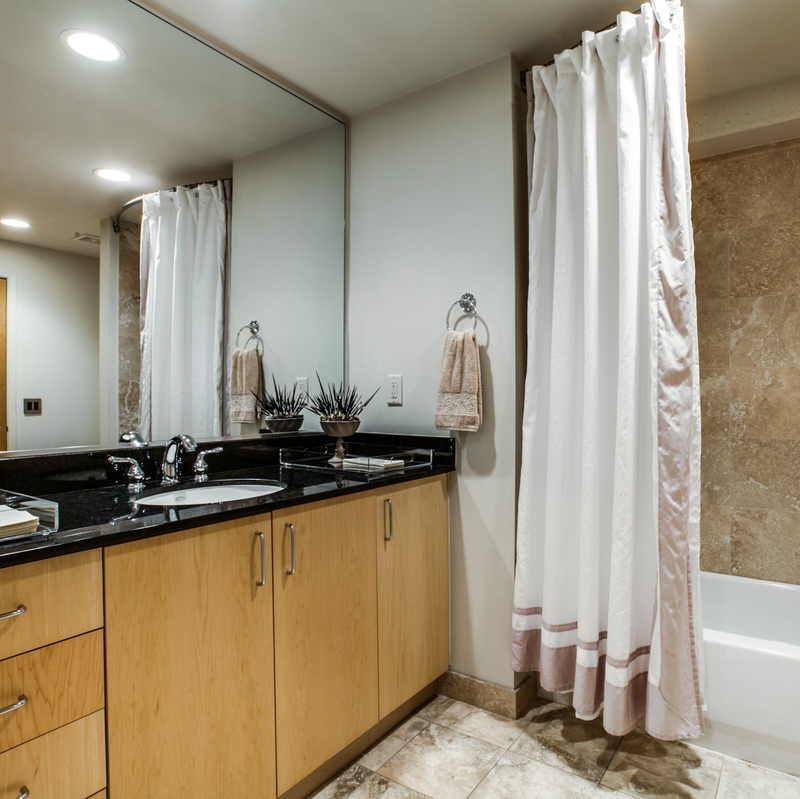 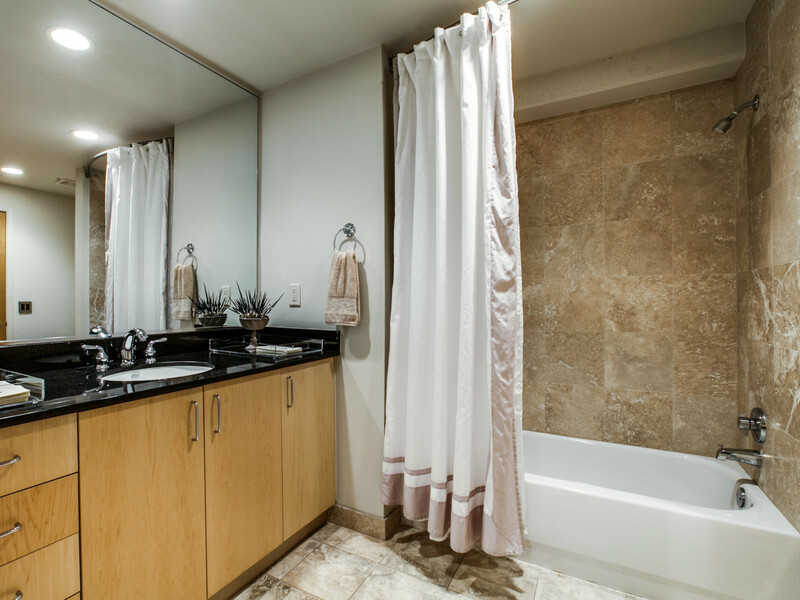 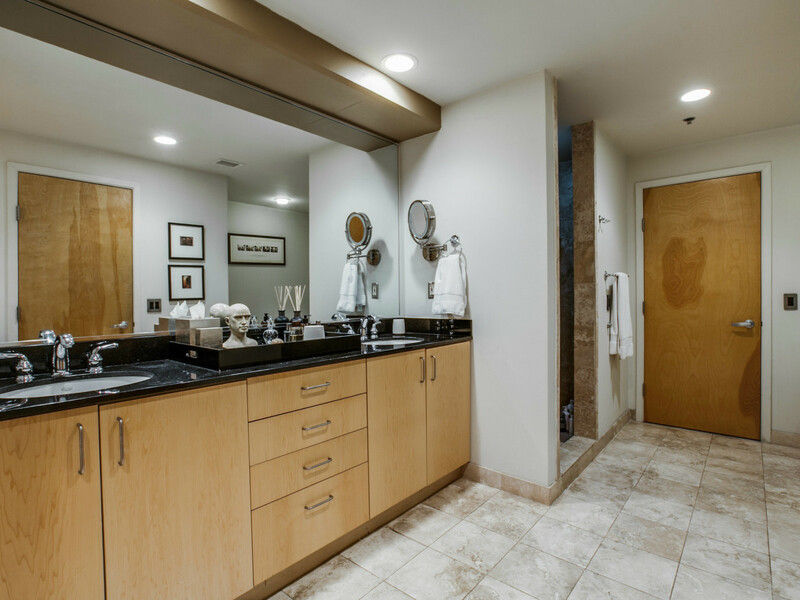 The upstairs also features a master bathroom with double vanities, walk-in shower, and relaxing soaking tub. 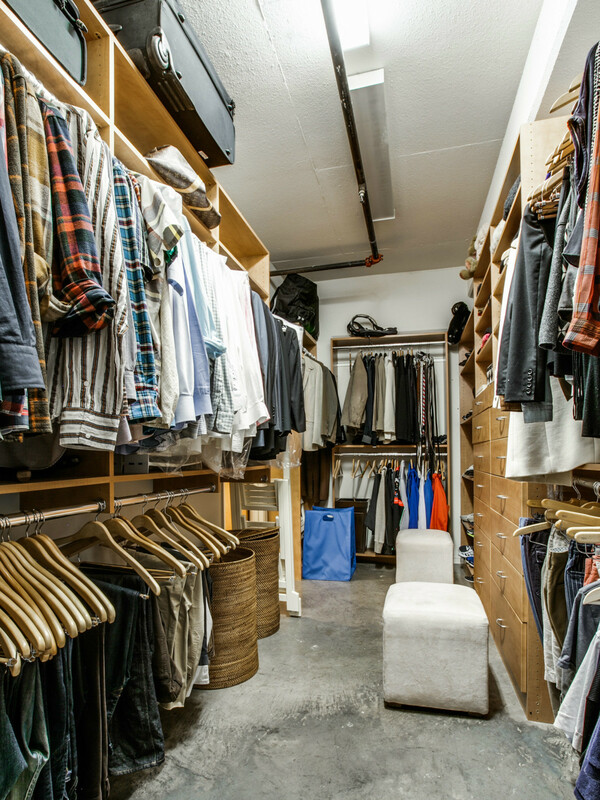 Storage is no issue here as the master closet offers row after row of hanging space in addition to built-in shelves. 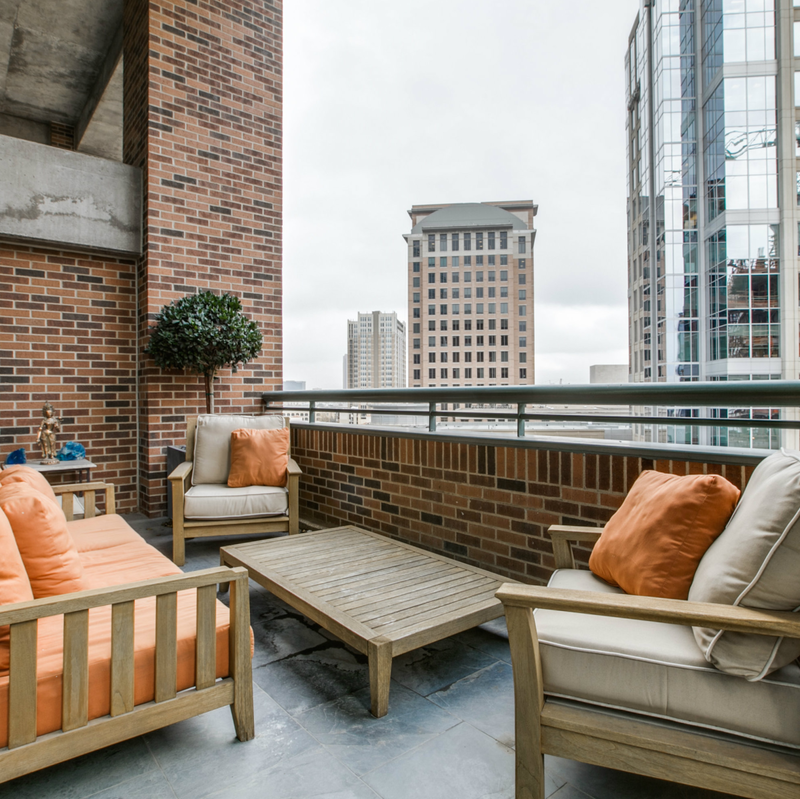 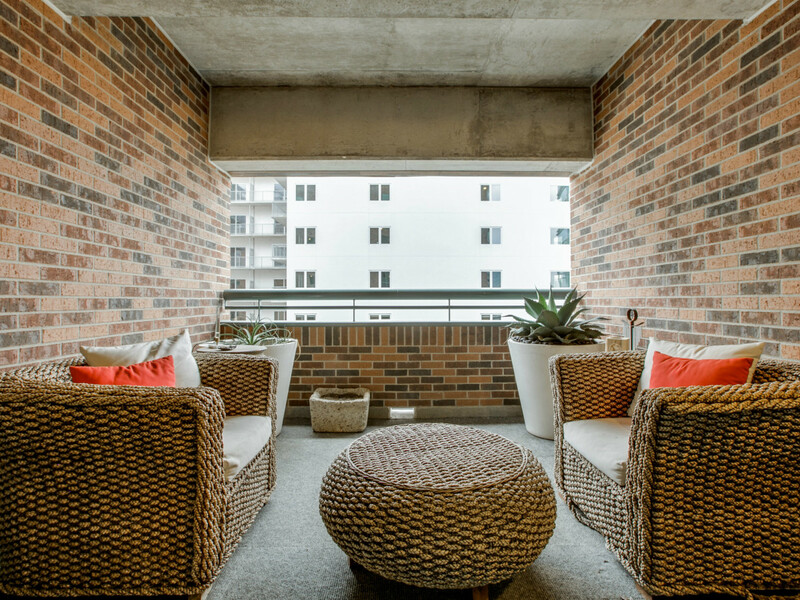 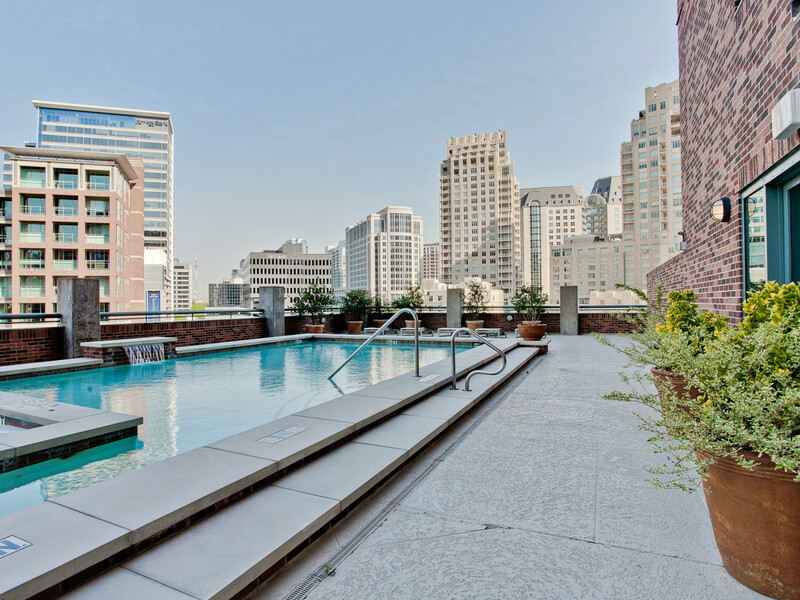 Listing agent Elizabeth Hutchison of Collective Residential says that this particular unit offers additional amenities that are not available in all units at 1999 McKinney, making it even more desirable to those with an urge to go urban. 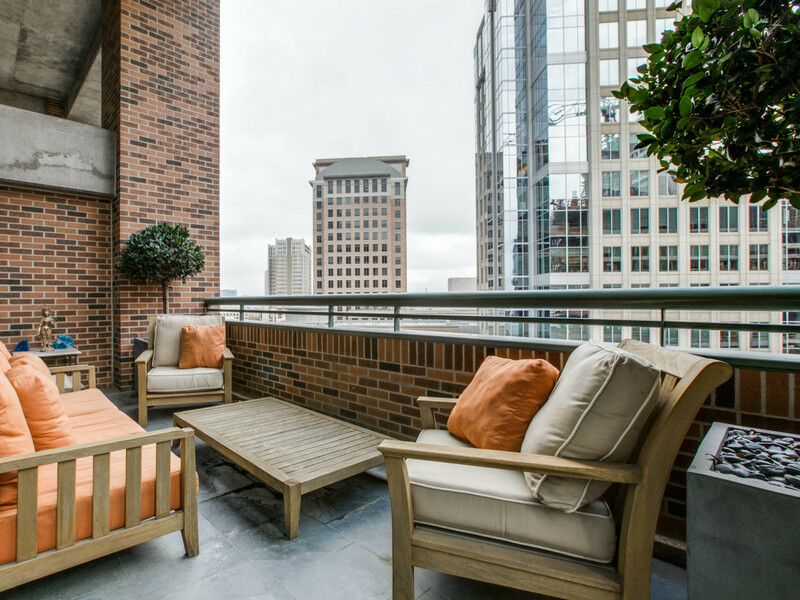 "The six stack allows homeowners to enjoy the benefit of two balconies," Hutchison explains. 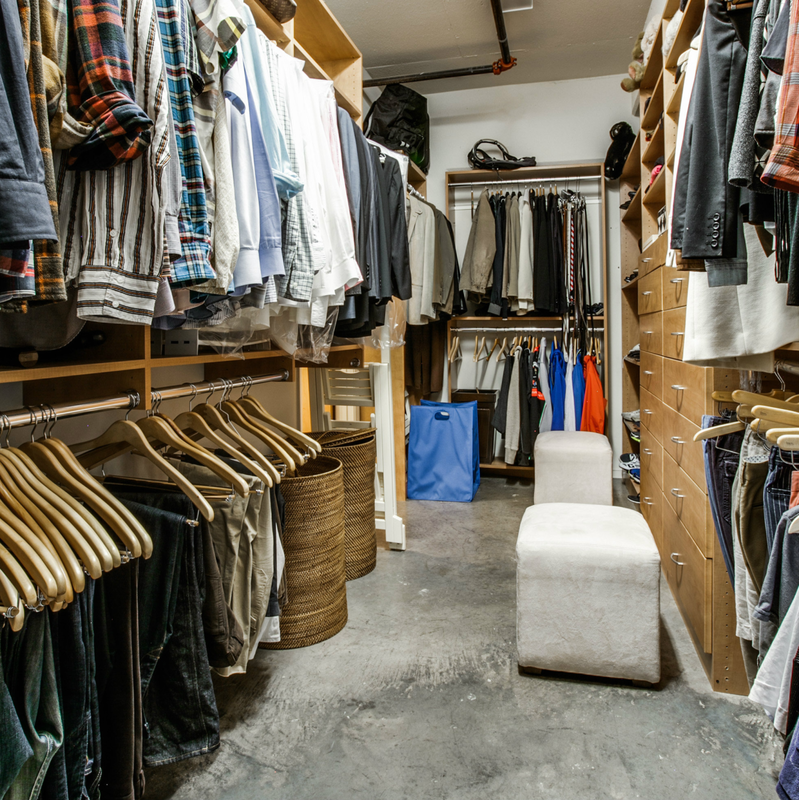 "One on the front, standard to each unit, and one on the back side of the unit, offering a little more protection from the elements." 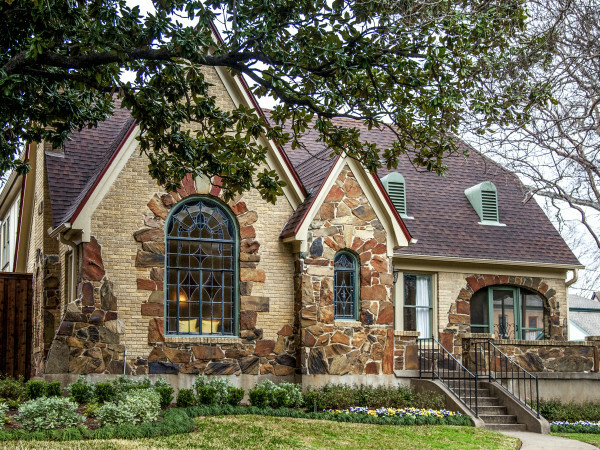 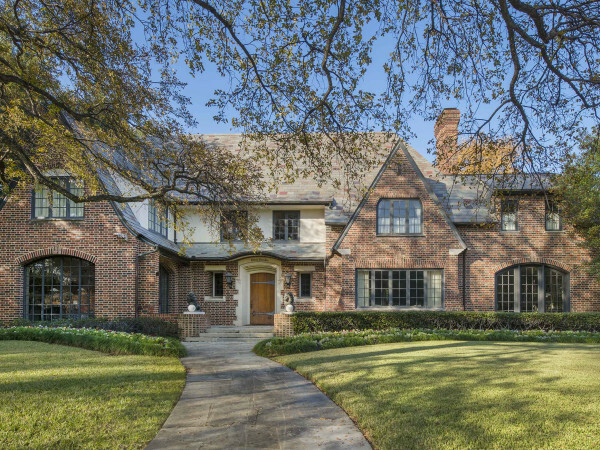 The property is currently listed for $789,000, plus a $1,556 monthly home owners association fee. 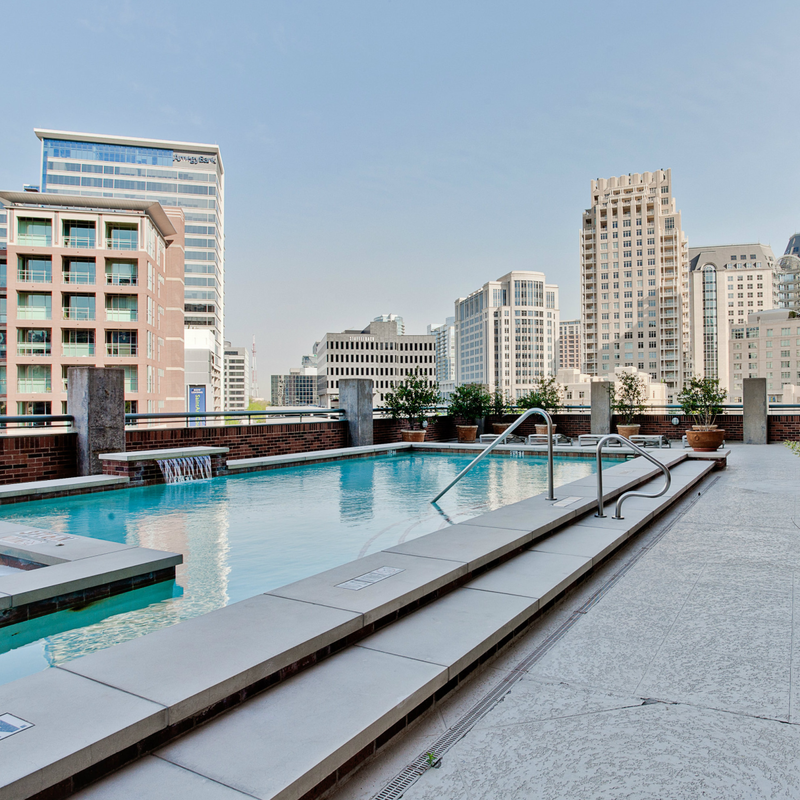 Keep in mind, however, that this fee includes access to a brand-new pool, 24-hour concierge, two parking spaces, and endless other urban dwelling amenities.